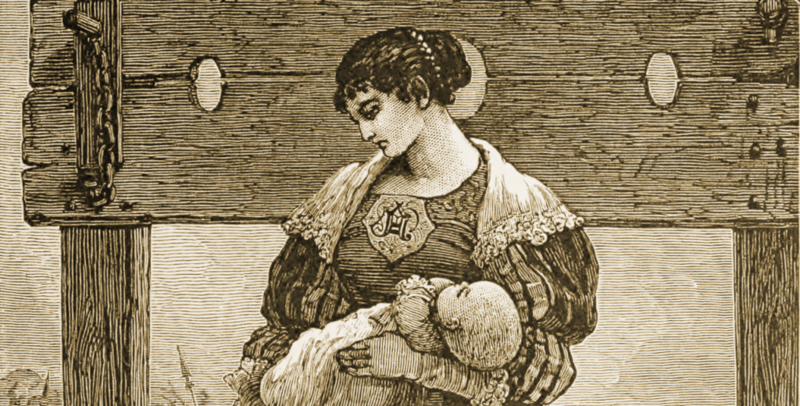 "When Hester Prynne bears an illegitimate child she is introduced to the ugliness, complexity, and ultimately the strength of the human spirit. Though set in Puritan community centuries ago, the moral dilemmas of personal responsibility, and consuming emotions of guilt, anger, loyalty and revenge are timeless." That's the gist of Nathaniel Hawthorne's The Scarlet Letter, as described by Bartleby. Text copies of The Scarlet Letter can be found in our collection of Free eBooks. And below you can stream a reading of the classic American text. It's available on Spotify, and if you need a copy of their free software, download it here. An alternative version can be found on Librivox. Both editions can be found in our collection, 1,000 Free Audio Books: Download Great Books for Free.